Ken Wisnefski, Founder and CEO of WebiMax, the nation’s leading online marketing firm, rated by TopSeos.com, announced today that WebiMax has expanded its domestic operations to include five strategic sales and customer support locations throughout the United States. These sales and support facilities will be based in New York City, Boston, Miami, San Francisco and Chicago. 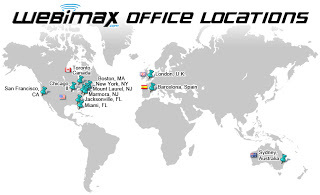 Additionally, WebiMax will expand their operations to include more dedicated international facilities located in London, Australia, Canada and Spain with other locations expected in early 2012. “As we have grown, the need for more intensive localized domestic sales and support offices has begun apparent”, says Wisnefski who founded WebiMax in 2008. “With the launch of these smaller, satellite offices throughout the United States, we can provide our clients with a more personalized service and can leverage talent from a wider spectrum geographically”, added Wisnefski. 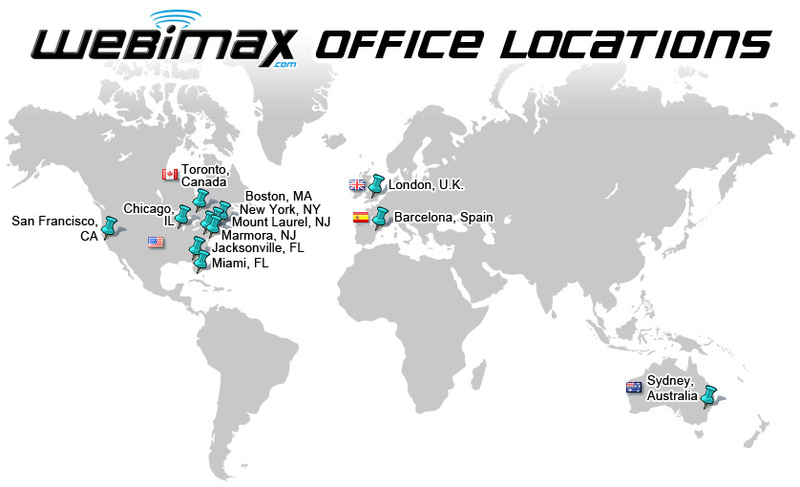 WebiMax’s U.S. headquarters is located in Mount Laurel, NJ which houses the majority of its U.S. based personnel. “Our corporate headquarters will also be increasing in size as we expand our core operations center” stated Wisnefski. “Our Jacksonville, FL location will also be focused on adding additional development staff and the other satellite offices will likely house under 10 employees in each location”. Additionally, WebiMax has begun an extensive international SEO expansion to serve their clients abroad. “We have seen an influx of clients that have come to WebiMax seeking a level of expertise they feel they can’t find in their own countries. Our international growth will focus on building core teams in various countries that utilizes the practices and methodology WebiMax utilizes in the United States to provide the optimal results for the clients”, concluded Wisnefski. WebiMax anticipates developing operation centers in all of its international locations and hopes to leverage strong technology pools in various countries to formulate a strong network of internal resources. “As we expand internationally, we have found some locations, such as our Toronto location, as an ideal scenario to leverage cost-effective talent to serve both our U.S. and our Canadian clients”, described Wisnefski. “Leveraging all of our locations to provide our clients with the best overall service is our ultimate goal”.